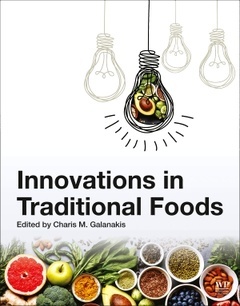 Innovations in Traditional Foods addresses the most relevant topics of traditional foods while placing emphasis on the introduction of innovations and consumer preferences. Certain food categories, such as fruits, grains, nuts, seeds, grains and legumes, vegetables, mushrooms, roots and tubers, table olives and olive oil, wine, fermented foods and beverages, fish, meat, milk and dairy products are addressed. Intended for food scientists, technologists, engineers and chemists working in food science, product developers, SMEs, researchers, academics and professionals, this book provides a reference supporting technological advances, product development improvements and potential positioning in the traditional food market. Dr. Galanakis is a dynamic and interdisciplinary scientist with a fast-expanding work that balances between food and environment, industry and academia. His research targets mainly the separation and recovery of functional macro- and micro-molecules from different food by-products, as well as their implementation as additives in food and other products. He is the research & innovation director of Galanakis Laboratories (Chania, Greece) and the coordinator of Food Waste Recovery Group (SIG5) of ISEKI Food Association (Vienna, Austria). He serves as an editorial board member and subject editor of Food and Bioproducts Processing and Food Research International, whereas he has published dozens research articles, reviews, monographs and conference proceedings. He has edited 4 books entitled "Food Waste Recovery" (Academic Press, 2015), "Innovation Strategies in the Food Industry" (Academic Press, 2016), “Nutraceutical and Functional Food Components (Academic Press, 2017) and “Olive Mill Waste (Academic Press, 2017).